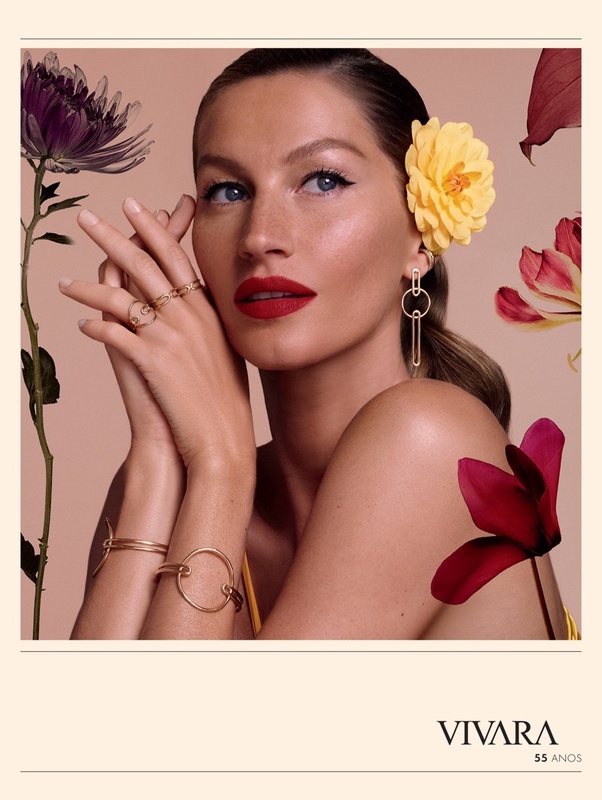 Supermodel Gisele Bundchen looks beyond gorgeous in new ads. 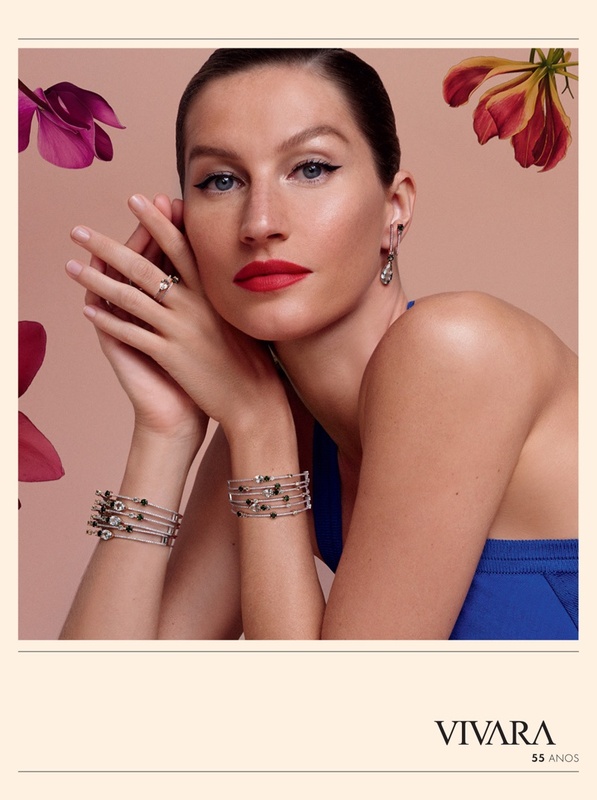 The Brazilian bombshell appears in the Christmas 2017 campaign from jeweler Vivara. Photographed by Nicole Heiniger, Gisele poses with flowers in her hair as well as a blooming backdrop for the colorful shots. The blonde stunner wears sparkling pieces including stud earrings, bangles and lariat necklaces. For beauty, Gisele poses with her hair in sleek waves and shows off a bold, red lip color.